John Pollock and Wai Ting react to All Elite Wrestling's press conference in Las Vegas with Kenny Omega's signing, match announcements, and more names added for Double or Nothing. John Pollock and Wai Ting present a special breaking news show to review the All Elite Wrestling press conference from the Las Vegas on Thursday night. They discuss the many announcements from the show, including Kenny Omega signing with the promotion and being confronted by Chris Jericho. 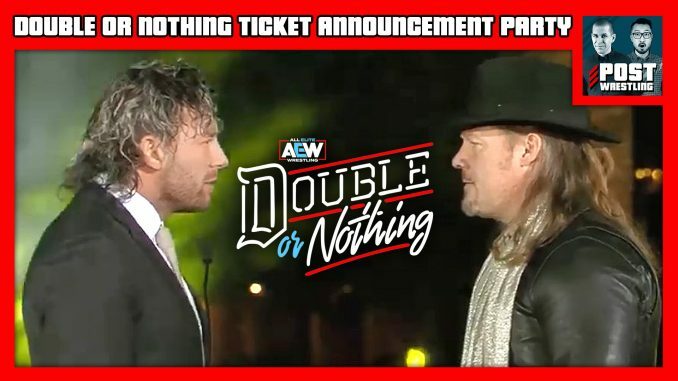 Plus, names and matches added to Double or Nothing in May, another promotional partnership, and the on-sale date for tickets to the show at the MGM Grand Garden Arena.